American citizens are required to have a valid U.S. passport and a Australian visa or, if eligible, an Electronic Travel Authority (ETA) to enter Australia. The ETA replaces a visa and allows a stay of up to three months. It may be obtained for a small service fee at http://eta.immi.gov.au/. Airlines and many travel agents in the United States are also able to issue ETA's. More information about the ETA, other visas, and entry requirements may be obtained from the Embassy of Australia in the United States, located at 1601 Massachusetts Avenue, NW, Washington, DC 20036, telephone (202) 797-3000, or via the Australian Embassy website at https://usa.embassy.gov.au/" . Visa inquires may be directed to the Global Service Centre in Australia at +61 2 6196 0196. 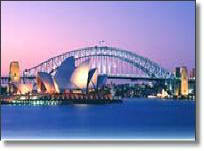 Visit the Embassy of Australia web site at https://usa.embassy.gov.au/visas for the most current visa information.